Today MyFrenchFilmFestival.com launches its new batch of films for 2013. The selection has an arresting variation of contemporary French film making with a handful of them highlighting female leads. Have a peek at some of the trailers below (after the jump). The film festival is purely digital, and can be seen in its entirety at the comforts of your own homes from January 17 - February 17. Each film can be rented for a very low rate: somewhere between $1.30 - $2.30 per movie. The festival is even free for some countries such as Poland, Turkey, Russia and all of Latin America. 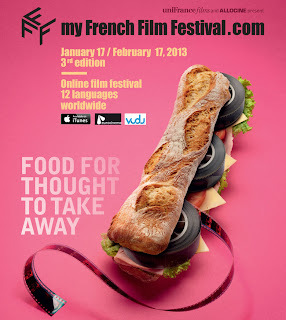 Go HERE to check out MyFrenchFilmFestival.com.